'18 models aren't cleared yet. DETROIT — It’s taken a couple months, but EcoDiesel-powered 2017 Ram 1500s have begun to show up on Canadian and U.S. dealership lots for the first time since the U.S. federal government accused Fiat Chrysler of not disclosing software that changed the way the vehicle’s emissions system operates. FCA Canada hasn’t publicly said whether they are available north of the border. Ram’s official website still says labels the trucks as having “late availability.” The company didn’t immediately respond to several calls and emails inquiring about availability. 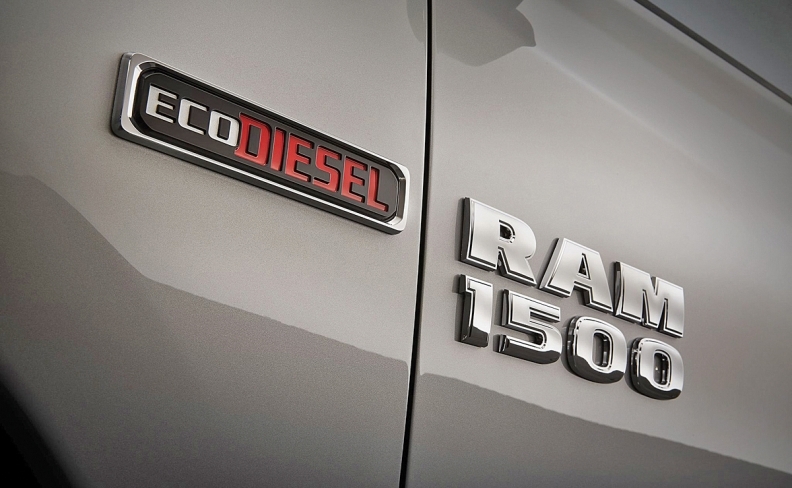 But, dealers have told Automotive News Canada they have received shipments of diesel 1500 Rams and are selling them. Some U.S. dealers began receiving their first EcoDiesel Ram 1500s of the year in late September, according to dealer websites. Others have yet to receive diesel vehicles they ordered. FCA suspended production of EcoDiesel-powered Ram 1500 and Grand Cherokees in late 2016 because they hadn’t received certification. In January, the U.S. Environmental Protection Agency hit FCA with a notice of violation over eight pieces of emissions control software the agency alleges illegally altered vehicle emissions under certain circumstances. In May, the U.S. Department of Justice’s Environmental and Natural Resources Division filed a civil suit against FCA over undeclared diesel emissions software. FCA received official clearance in the United States in late July to begin selling 2017 Ram 1500s and Jeep Grand Cherokees powered by its 3.0-litre EcoDiesel engine. FCA began producing EcoDiesel Rams in early July in anticipation of receiving clearance from the EPA to sell the vehicles, but it didn’t begin shipping them to dealers for more than two months. Typically, vehicles that meet the standards set by the EPA also meet Canadian standards and are sold north of the border, too. Environment and Climate Change Canada doesn’t approve the sale of vehicles, it only enforces emissions regulations. “It is the responsibility of the companies to ensure the vehicles comply with the applicable emissions standards and that the company produces and maintains evidence of the vehicles’ conformity,” ECCC spokeswoman Isabel Lavictoire wrote in an email to Automotive News Canada. Even though FCA EcoDiesel-powered vehicles are once again for sale in Canada, ECCC is still looking into whether FCA violated any Canadian regulations by using undeclared diesel emissions software. In a phone interview, Lavictoire made it clear there is not an open investigation, saying that ECCC is still gathering information. Though the EcoDiesel variants are currently for sale, they may not be around for long. The EPA has yet to certify sales for the coming 2018 model year, a spokeswoman for the agency said. FCA says it is continuing to cooperate with the EPA and the California Air Resources Board “to clarify issues related to the Company’s emissions control technology” in hopes of settling its dispute. Larry P. Vellequette of Automotive News and Greg Layson of Automotive News Canada contributed to this report.